The pan can be used on both gas hobs and solid hotplates. 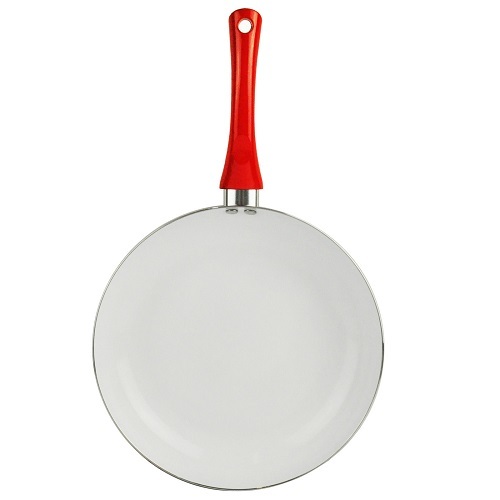 The frying pan is aluminium with a cermaic coated cooking surface providing a quick and even cooking performance. A soft grip handle means you can easily and comfortably lift and move the pan during and after frying. The generous size allows you to cook a large variety of different foods and prevents splashing and spillage.